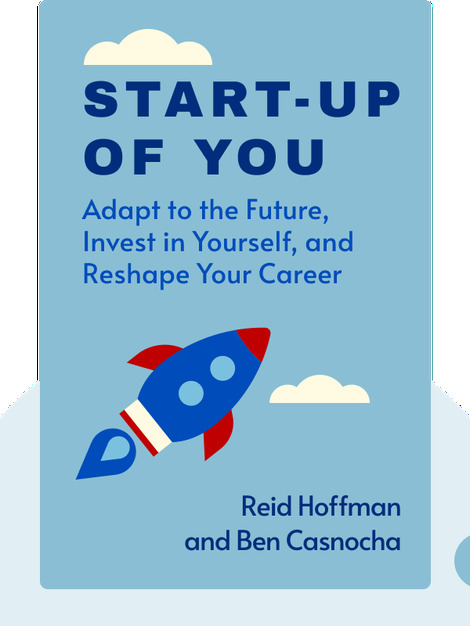 The Start-Up of You (2012) is a guide to how you can leverage strategies used by start-ups in your own career: being adaptable, building relationships and pursuing breakout opportunities. In a world where entire industries are being ravaged by global competition and traditional career paths are fast becoming dead-ends, everyone needs to hustle like an entrepreneur. Reid Hoffman is an American entrepreneur, venture capitalist and author. He has either invested in or worked for a number of high-profile companies, including PayPal, Zynga and Facebook, but is perhaps best known for being the co-founder and chairman of LinkedIn. 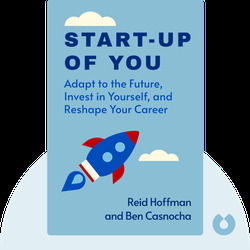 Ben Casnocha is an American entrepreneur and author. He founded his first company at 12 and at 18 was named one of America’s best young entrepreneurs by BusinessWeek.